Shannonvale Landscaping was setup in 1989. Since startup they have built a large customer base and with many returning for repeat jobs. Shannonvale have been awarded by the ALCI on four occasions in 1995, 1997, 2011 and for 2015 to show the appreciation for their high standard of work. 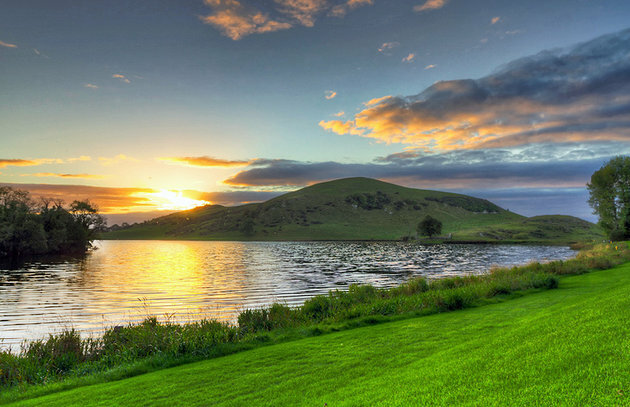 The ALCI is the governing body for the landscapers of Ireland. 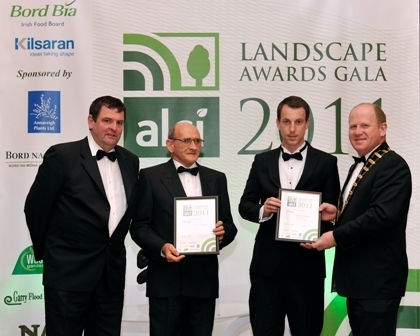 An award from the ALCI is the highest award that can be achieved in Ireland by a landscaping contractor. 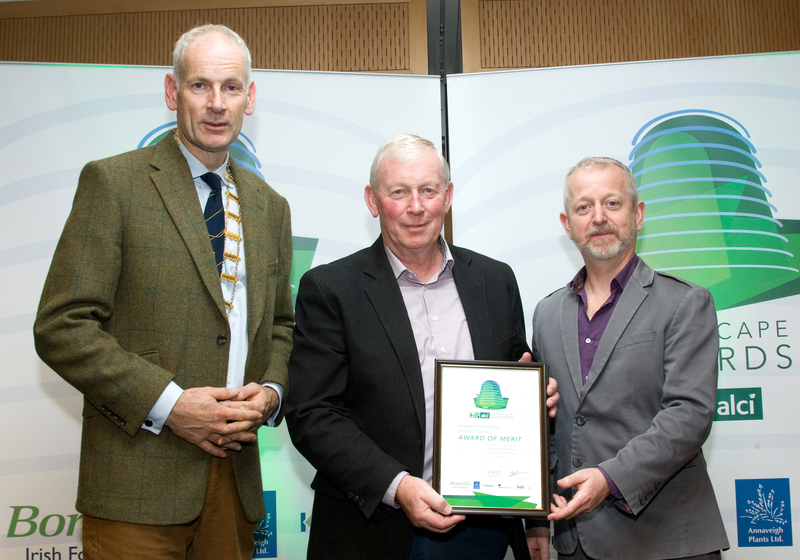 Shannonvale Landscaping were presented with 2 awards of merit at the recent ALCI Awards for 2015 held in the Convention Centre, Dublin on 6th November. This was the 20th anniversary of our first win in respect of Ballygowan Spring Water in 1995. In between we have won a number of awards. Shane Enright TD, Minister of State at the Department of Agriculture, Food and the Marine with special responsibility for Horticulture; Michael McNamara, Jeremy O’Mahony, Shannonvale landscaping Co; Keith Crawford, President ALCI. The photo of the garden shown on the left is the work that won Shannonvale the merit award for best Residential Commercial & Public Authority Maintenance for 2015. This garden is Lough Gur Amenity Area , Bruff, Co Limerick, property of Limerick City & County Council. 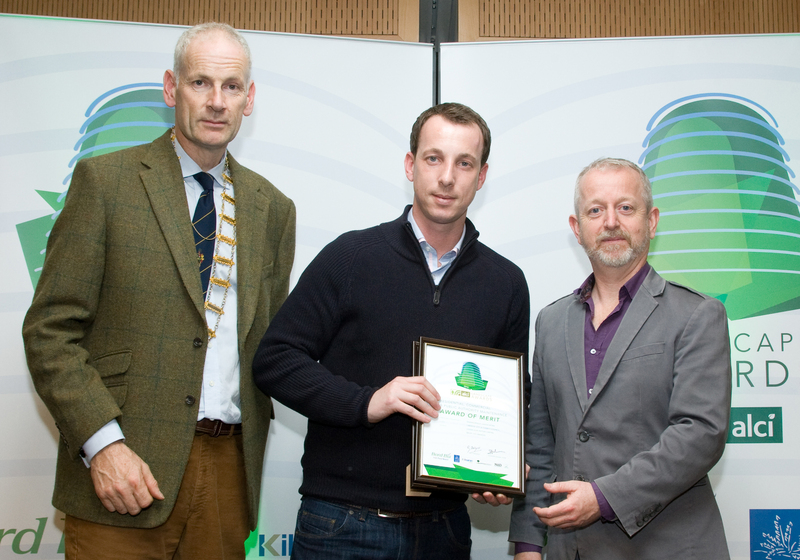 Gary Graham of Bloom and RTE was one of the judges, here presenting Jeremy O’Mahony, Shannonvale landscaping Co; the award for the best Residential Commercial & Public Authority Maintenance 2015. This is a tribute to our excellent staff and their hard work and dedication. Thank you all. 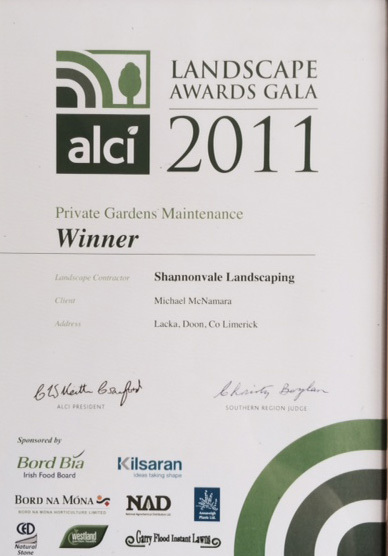 Shannonvale Landscaping was awarded Merit for the best Private Gardens Maintenance 2015. 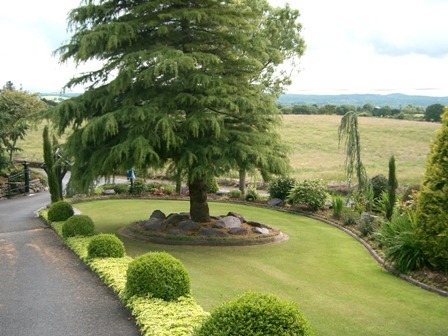 This was for a private garden in County Limerick.